The Ring Bird Nest Cutlery set is a four piece cutlery set in satin finish with a colorful detail inspired by the bird nests in nature. It includes a knife, fork, spoon and teaspoon of elegant modern design. The colorful detail on the tip just adds to the overall aesthetics. 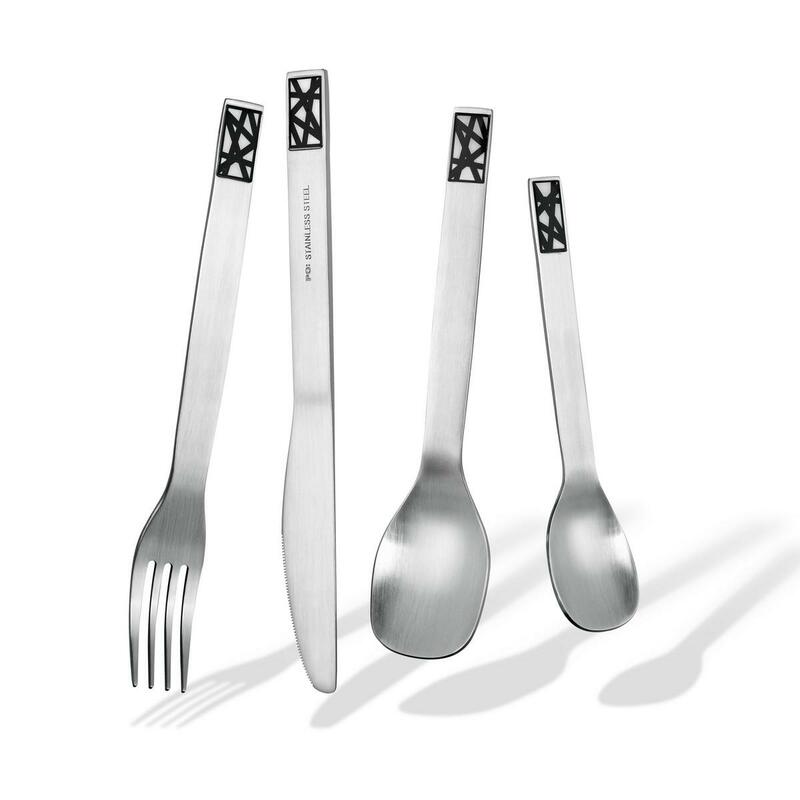 Set of four (4) pieces cutlery set in satin finish. It includes knife, fork, spoon and teaspoon. Material: Stainless steel in satin finish. Fork: Length 20.6 x Height 2.5 cm. Knife: Length 22 x Height 2.1 cm. Spoon: Length 19.6 x Height 4.2 cm. Tea Spoon: Length 15.7 x Height 3.2 cm.